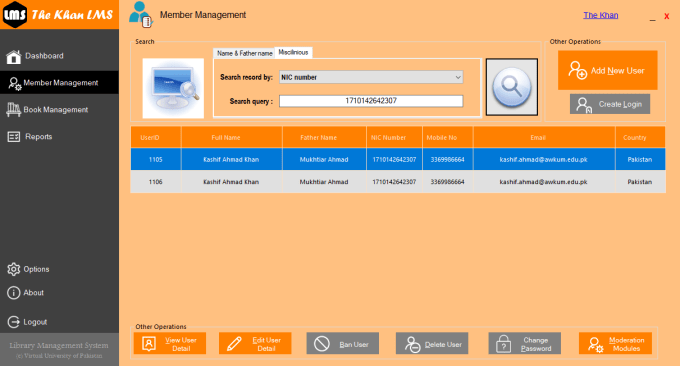 “The Khan Library Management System” is desktop/database/windows base application, which means to computerize the coexisted manual system and to monitor and control the transactions of a library. This system will consist of a large number of books and handouts of different subjects, which are required by students and staff. Through this system students and staff can search, borrow and return the books and handouts. It can also provide the facility to read the handout and books online (if scan copy of the same is available). This system keeps track of all the books i.e. 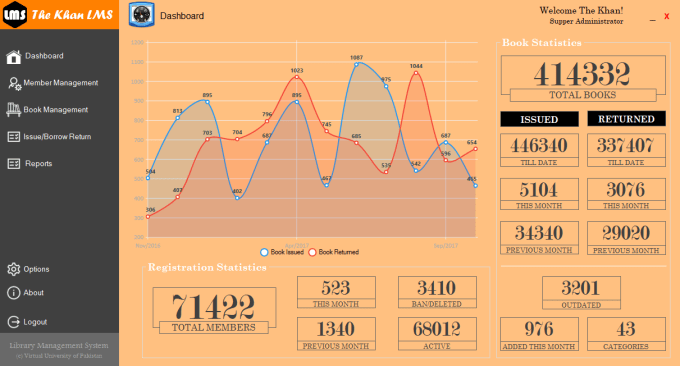 book entry, issue and return related details, as well as user log and each of the moderation made. Librarian, Deputy & Assistant Librarians will have full full/partial privileges while some other staff will only add users and books, issue and return book (privileges are mentioned in Table 01). Each registered user will need to be accepted by Librarian or Deputy/Assistant Librarian. 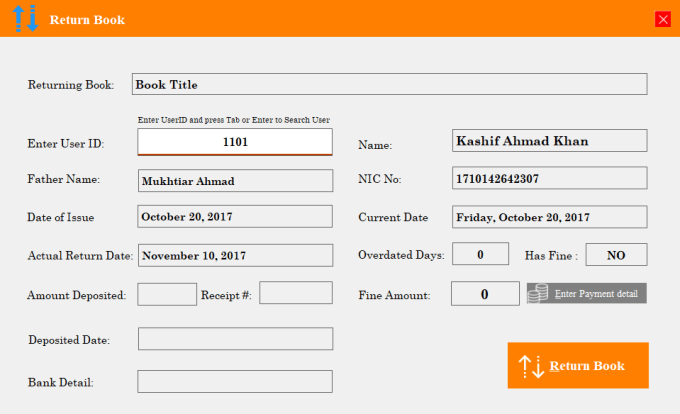 The purpose of The Khan LMS is to provide friendly environment so that to arrange, manage and easily filter users’ and books related information.